Indiana State Police have arrested an Evansville man for child molestation. ISP started a criminal investigation on January 9th after receiving information that a girl under the age of 13 had been molested. 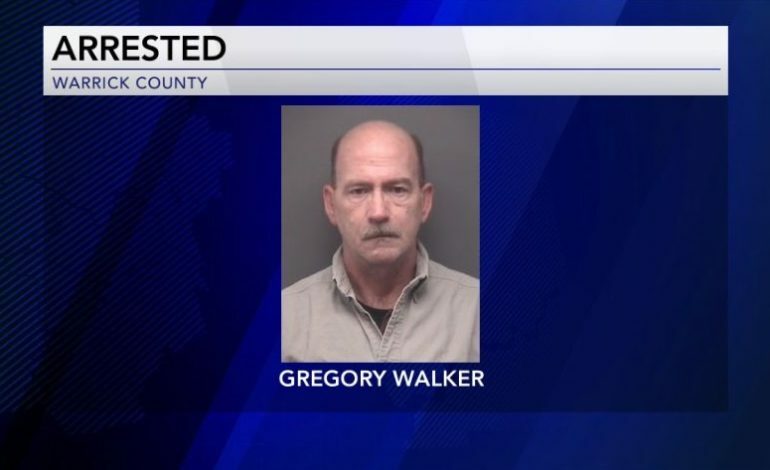 The investigation revealed that 54-year-old Gregory Walker allegedly molested a juvenile girl during the summer of 2016. Walker was arrested around 9:30 a.m. Wednesday at his place of employment. He is being held in the Warrick County Jail without bond.